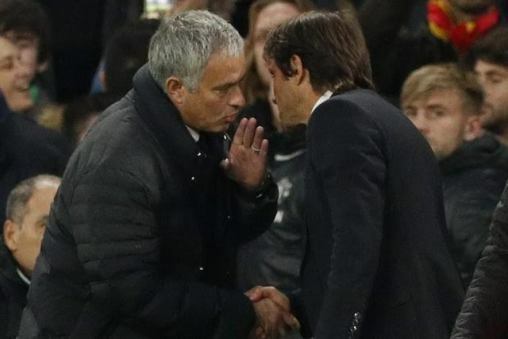 According to a report by Italian TV, Sky Italia, Man U coach Jose Mourinho accused Chelsea coach Antonio Conte of humiliating Man U with his touchline antics following Chelsea's 4-0 win over Man U on Sunday. Conte gestured to the crowd to turn up the noise levels after N'Golo Kante scored Chelsea's fourth goal, knowing fully well it was Jose Mourinho's first match at Stamford Bridge as Man U manager following his sacking last year. "You don't celebrate like that at 4-0. You can do it at 1-0, otherwise it's humiliating for us." 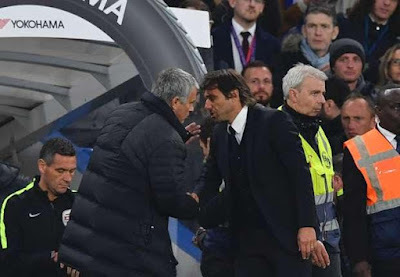 British papers reported that the ill-feeling spilled into the tunnel where a member of Mourinho's staff refused a handshake from Conte, while others were involved in verbal disputes. Chelsea's manager denied that he had tried to humiliate United. "There has always been respect for all, and naturally for Manchester United," said Conte. "Nothing happened. I did something absolutely normal. I didn't do anything to humiliate Mourinho. The players, after a 4-0 win, deserved a great clap. It's very normal. We live with emotions. If you want to cut the emotions, we can stay at home and I will change jobs."